Are you ready to write down some memories on your new friends? At the entrance of the party all of you will receive free markers! So be ready to get nasty and leave your phone number, Facebook or Instagram in as many t-shirts as you can! How many different phone numbers can you fit into a t-shirt? Remember: BRING A WHITE T-SHIRT! 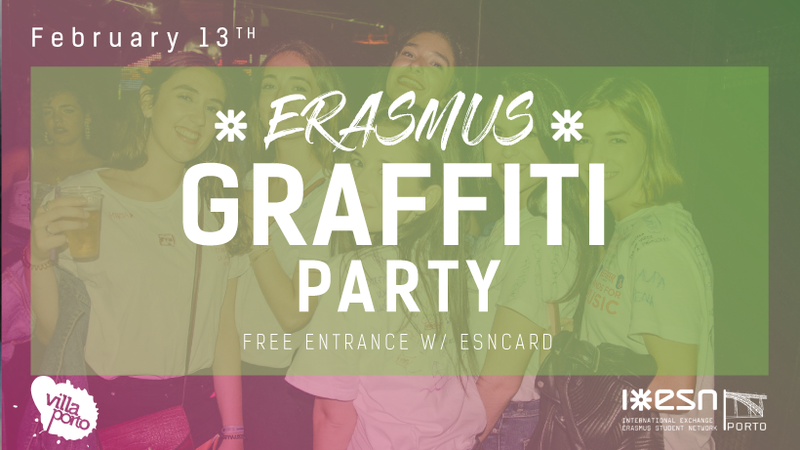 To participate in ESN activities, you must buy an ESNcard, at the ESN Porto Office. It will cost you 10€, it is valid for one year and allows you to benefit from lots of national and international discounts with our partners. You must bring a photo of yourself (passport type) when you come to the office to buy your card.